Before all the berries are gone, at least until next summer, it is time to think sweet easy recipes using berries. So many delicious desserts and other great dishes can be made with berries. 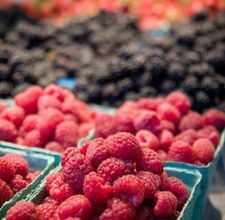 From cobblers to pies to salads to delectable frozen treats the skies the limit to the number of berry dishes you can enjoy. Additionally, do not forget about those more obscure but equally delicious berries such as huckleberries and blackberries. And after you have made all the berry dishes your family can handle this summer, consider freezing any left over berries to use in the fall or winter. Unfortunately, summer is coming to a close, but you can always have one berry happy end of summer with some tasty treats.